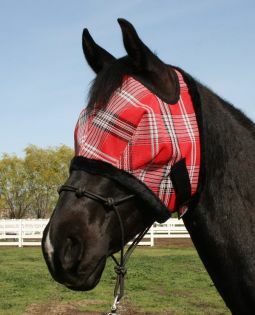 Protect your horse's ears in style ! Constructed of a highly breathable mesh material with elastic ears, this bonnet is designed to be lightweight and comfortable for your horse. A glitter band around the exterior adds a hint of elegance to you and your horse's look. Great used in the jumper ring, for schooling or out on the trails, the KavalPro Ear Bonnet is perfect for reducing distractions and putting your spooky horse's mind at ease! 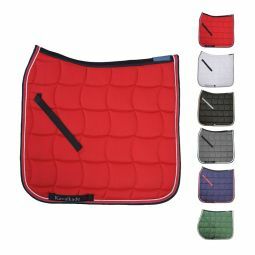 Coordinate with your Saddle Pad.